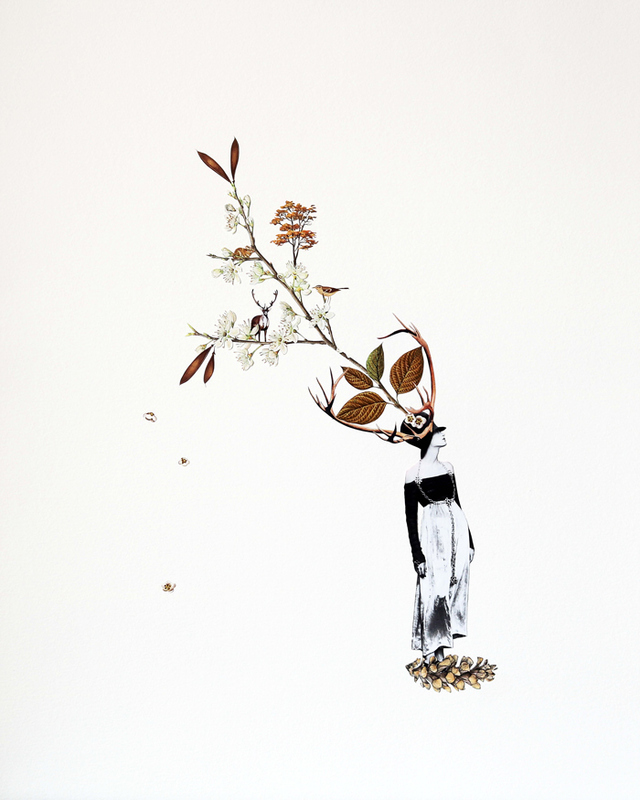 Rebecca Clouâtre’s hand-cut collage work amalgamates a variety of imagery, including vintage, black-and-white photographs and pictures from the natural world. 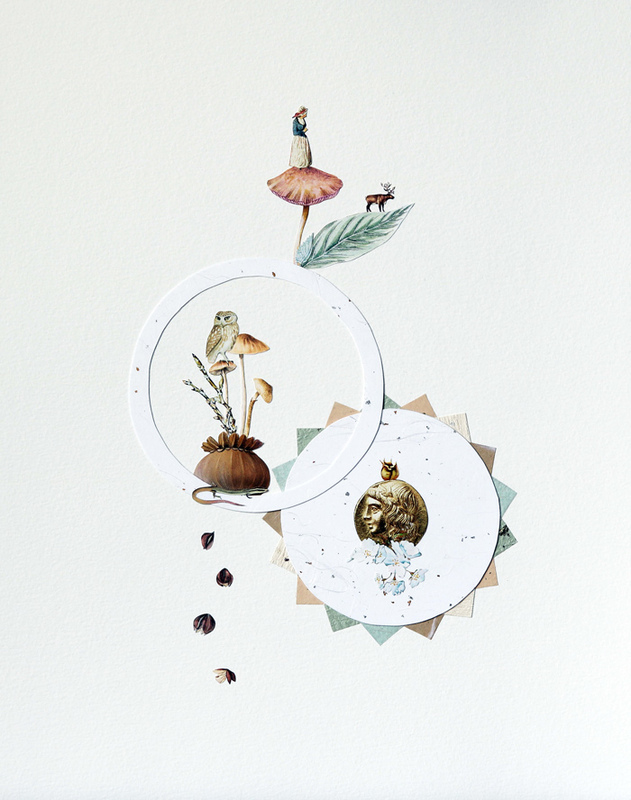 Inspired by natural history illustration from the 1800s and Surrealism, Clouâtre aims to create whimsical scenes that invite viewers into her built dreamscapes. She uses mostly found, recycled material. 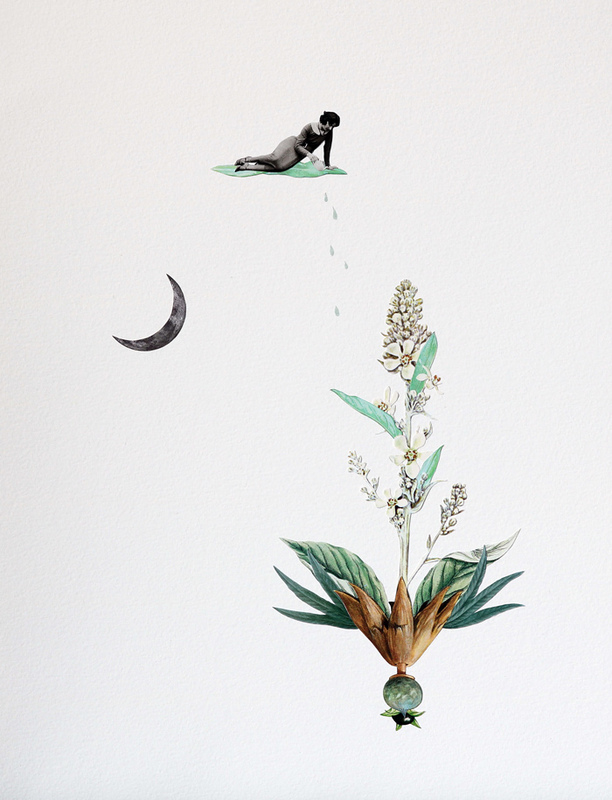 Rebecca Clouâtre is an emerging collage artist based in Ottawa, Ontario. In 2015, she received a Masters Degree in Art History from Carleton University, with a concentration in Art Exhibition and Curatorial Studies.